Not only does it change the industry but also our daily life. You now can easily use PC, smartphone, camera, or even smartwatch to record what is happening, save it, and send it to anyone who is connected to the internet by using mail, social network, or chatting services. Besides, you can experience the world in the way you could not before using high-resolution graphic devices, and VR/AR systems. For over years and decades, the number of multimedia data types that we exchange in our digital world also increases. Several decades ago, it was limited to plain text only. After that, we did not have to wait for a long time until we could store and send pictures and audios. 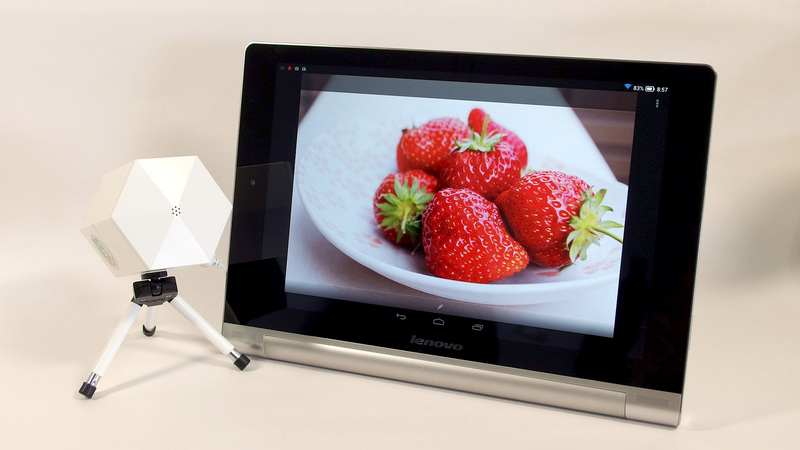 Now, everyone can make a video easily, share it with others by just using a smartphone. Besides, new VR/AR technologies are expected to bring us more immensely reality experience in which you can feel, and even touch the virtual world. Thanks to the fast-growing innovative technologies, we can see, hear, and touch the digital world. But wait for a second, compared to the human senses, are we missing something? You got it right, 'taste' and 'smell' should be filled in. 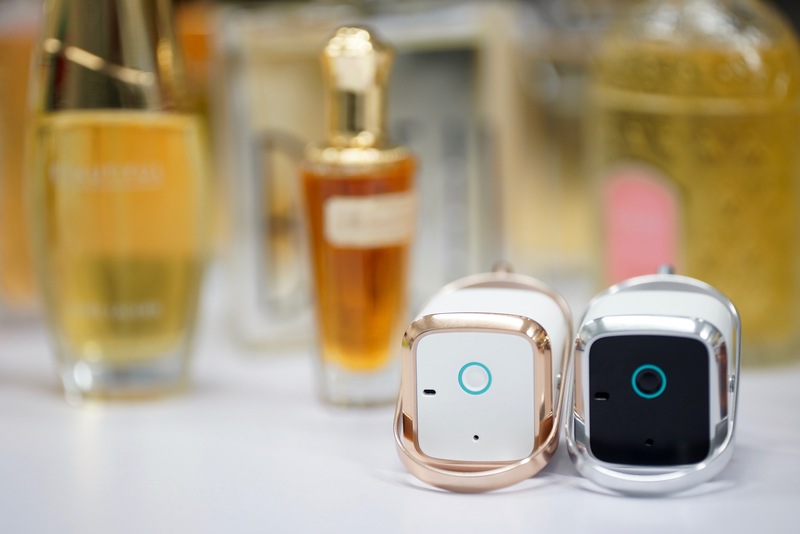 With the vision of bringing scent into the digital world, Aromajoin is working to make it real. We have been researching and developing various technologies related to this more than a decade. 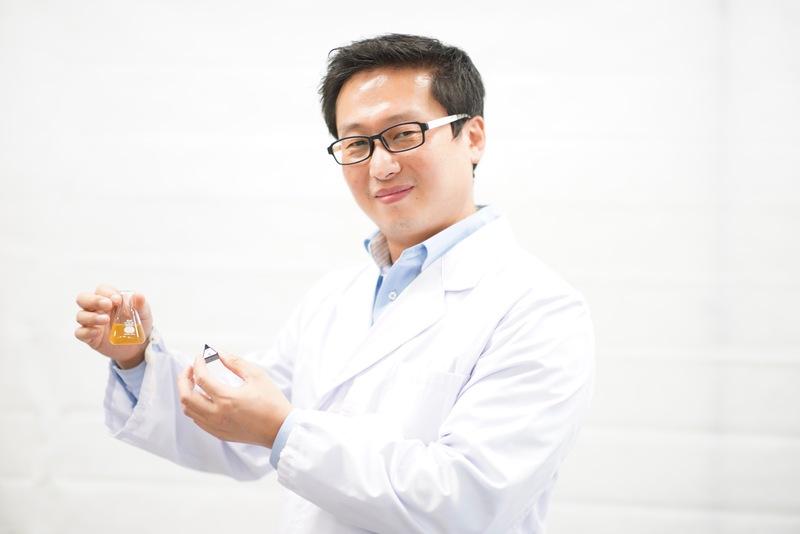 Our CEO, Mr. Kim Dong Wook, spent all his time when pursuing his PhD in JAST and doing research at NICT, Japan to develop Aroma Shooter, the first digital scent device. Aroma Shooter is the combination of multiple technologies from different fields including hardware, material, chemistry, and software. Almost its parts have been registered patents and trademarks in different countries including Japan and US. So, what can Aroma Shooter do? 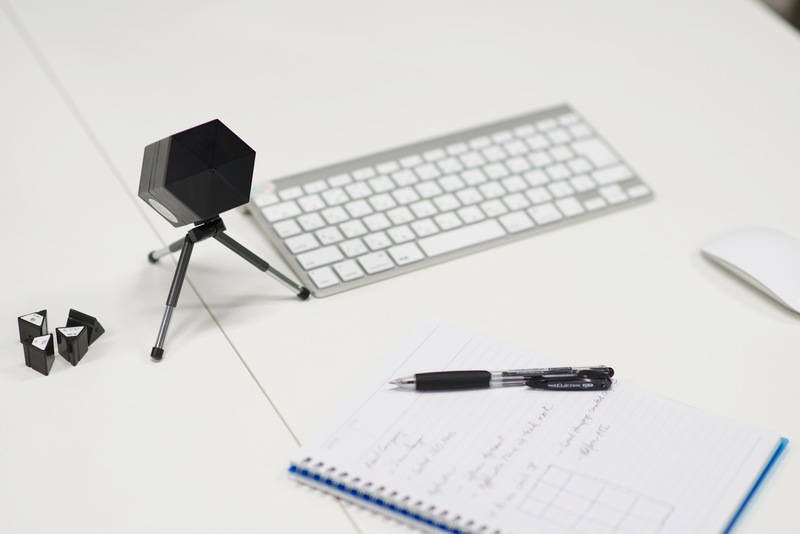 This cute hexagon device will serve as a new companion which will work well with existing devices to enable and deliver a completely new sense, aroma, in the digital world. 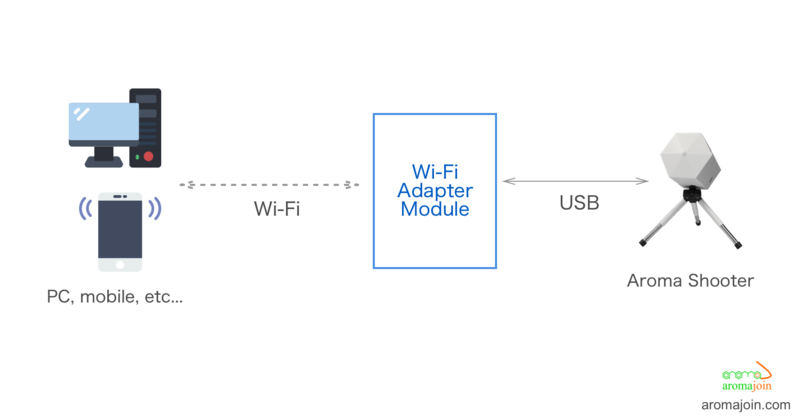 You can easily integrate it with other devices such as PC, smartphone, IoT, or VR/AR systems. "It looks like many other mist and oil aroma diffusers on the market, doesn't it?" You might wonder about that. However, as being mentioned, Aromajoin goal is to bring in aroma as a new multimedia type, we can not achieve this by using mist-type aroma cartridges. It diffuses scents in undirectional way, makes surrounding environments easily sticky, and can not be controlled precisely in seconds. 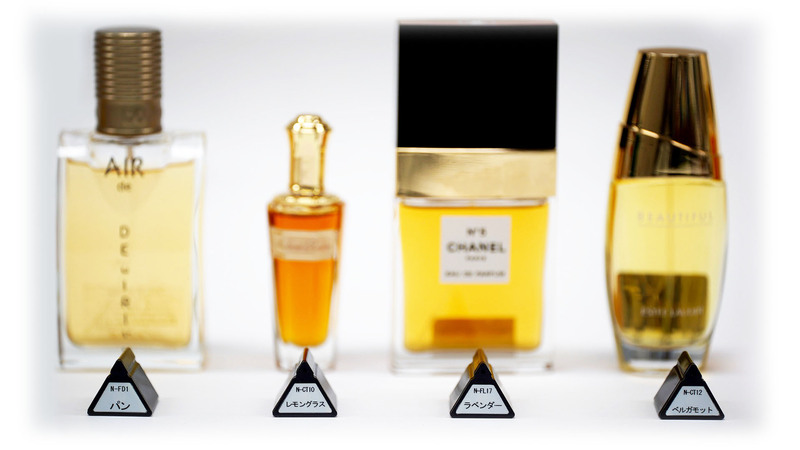 Along with Aroma Shooter, we introduced Aroma Cartridge which is a solid-type scent container to solve all above issues. Furthermore, since last year, we have been developing a small model named Aroma Shooter Mini which is closer to daily personal usage. 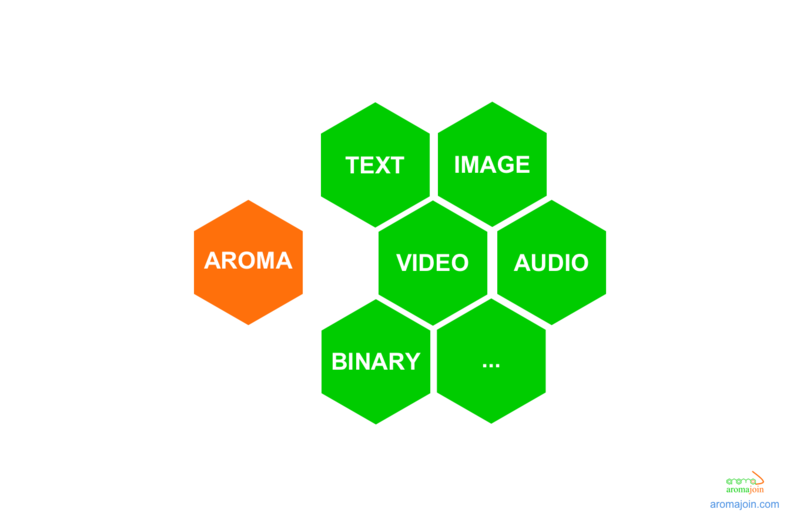 We are continuously investing our time and resources to bring the missing piece, aroma, into the digital world. You can get more updates via Aromajoin website, Facebook, or Twitter. Written on 2018-08-22 by Aromajoin — Aroma Shooter's house.